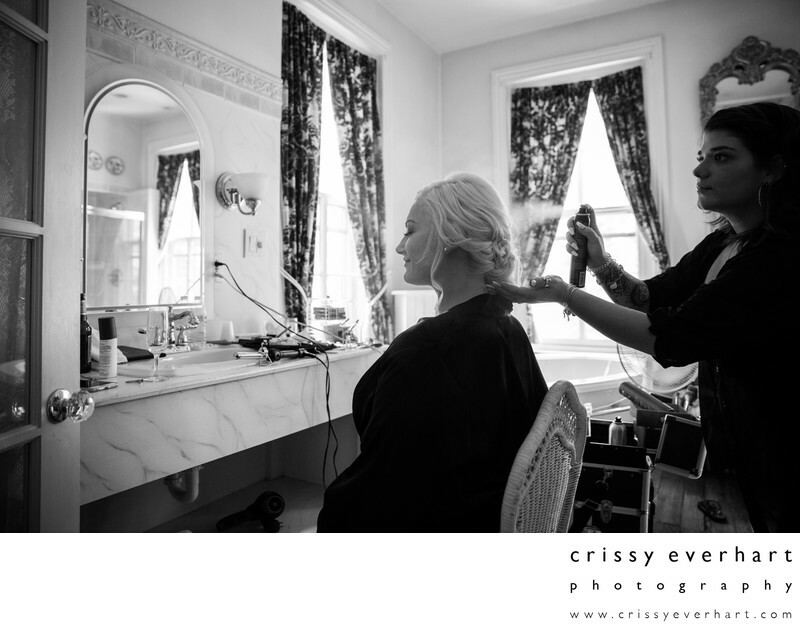 Bride getting her hair done at Faunbrook Bed & Breakfast in West Chester, PA. The hair stylist sprays hairspray to set in the style, and the bride is almost ready to put on her dress. Location: 699 W Rosedale Ave, West Chester, PA 19382.